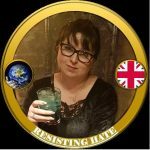 As many of our followers will already know, this week the anti-hate community suffered a great loss when much admired anti-fascist activist Lola sadly passed away. It is with great sorrow I pass on condolences from both myself and Resisting Hate to her grieving family and friends and to the brave Antifa movement of which Lola was a key supporter. The work Lola has done has not been in vain. Many people have been motivated by her passion for fairness and equality to take a stand against fascism. It is hard to believe that in 2018 people need telling that fascism is an evil ideology, but they do. Fascists do not arrive fully equipped with guns and gas chambers, Fascists evolve from an insidious ‘group think’ which demonises and vilifies innocent people and seeks to blame them for the ills of the world. Fascism stems from listening to people like Donald Trump. It originates from believing the hate rhetoric of morons like Tommy Robinson and it occurs when people are unwilling to tackle hate on their own doorsteps. When you turn a blind eye you hate, you perpetuate it further. Silence is no longer an option. Lola knew this and she gave much of her life to fighting the evil which is fascism and far right hatred. The reactions to Lola’s death from those she opposed have disgusted me this week. 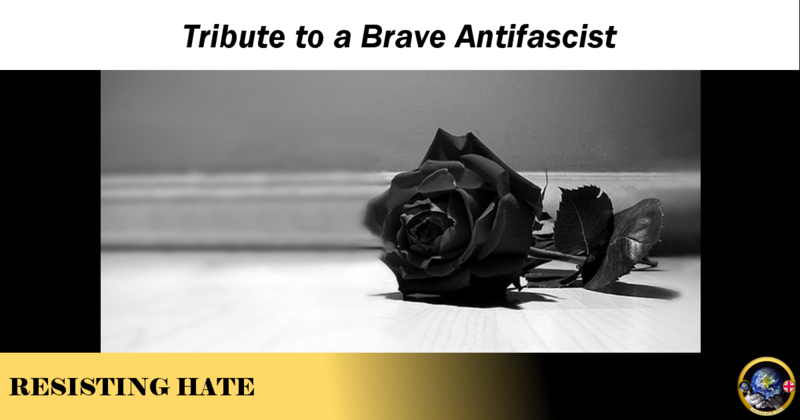 The parody accounts, the trolling of those she left behind, the mockery on the fund raising page for her funeral, the cheap and tasteless memes celebrating her death… However the lack of respect and the shameless ignorance demonstrated has only strengthened the resolve of ourselves and many others to redouble our efforts to fight hate. 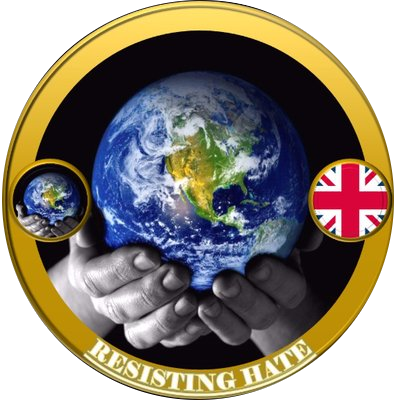 Resisting Hate will be working with both Antifascist groups and the police to bring those involved in hate trolling to justice. Haters – You will eventually learn that there are consequences for hatred and be assured that I intend Resisting Hate to be very involved in helping you learn that lesson. Lola will be sadly missed by many, many people. Many comrades will have known Lola much longer than I and their sense of loss will be immense. Unlike the vile Far Right detritus who insult her in death and harass her grieving family, Lola wanted a fairer, more egalitarian society, free from the scourges of Fascism and Racism. I measc Laochra na Fhrith-Faisisteach go raibh a anam dílis. Met Lola once at a march top person with two of her friends. Sad to hear of her death. She was a great inspiration. Agree entirely. She was a brave and principled lady.